Pictures of Avril Lavigne donning an abaya recently went viral on social media. The Complicated singer is currently in Abu Dhabi for this year’s Special Olympics World Games. 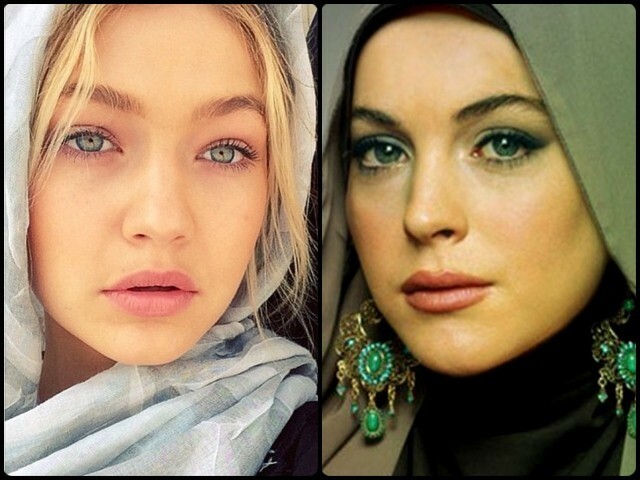 Her look gave us a little inspiration to stalk other foreign celebrities who have worn Islamic clothing – and nailed it! Compiled below is a list of four of them. Singer Lindsay Lohan has openly embraced Islam. Therefore, it comes as no surprise that the artist has been spotted wearing the hijab numerous times. She has not only worn the religious veil in the Middle East, but also in Europe.